Leonardo Chevy is one of our most important artists, besides being a great friend of ours. His productions released on our label have always been high quality synonymous that always found excellent placements in all classifications. 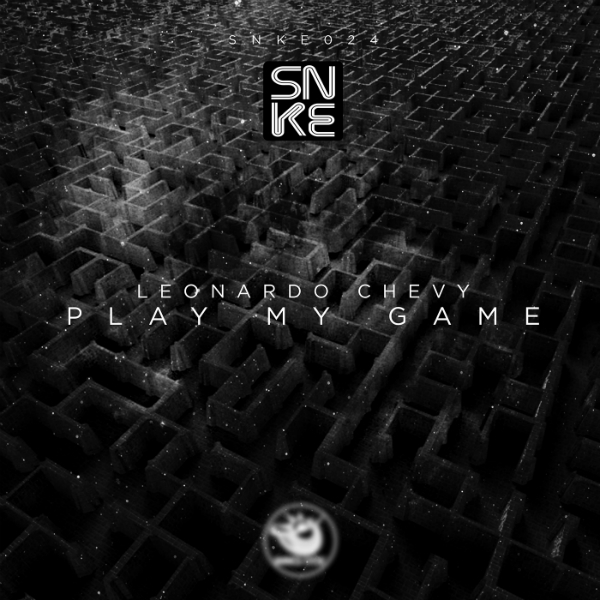 Leonardo now gives us 'Play My Game' a fantastic album for the SNKE sector. This album talks a lot about him, and his way of doing and conceiving music. All tracks of this album are easily traceable to him. They have in common an extreme quality of elaboration of every single sound, but above all a particular ingenuity and originality in constructing particularly engaging rhythms, able to create very particular atmospheres that every single dancefloor would surely appreciate.In particular cases such as in the track 'Hold Me On' there is a very sharp, particular and engaging sung. So even the writing of the sung tracks is well elaborated. The supporting track of the album 'Play My Game', also sung, contains in itself a small part of each track of the album, as if they were parts of an organism, this is its heart.The whole album has a techno trend with slightly softer and deeper tracks up to very cold, rough and close to acid, in the case of 'Cloud'. Every single track has its own particularity that is worth listening to, and certainly playing it on the dance floor. The answer will surely be exciting!